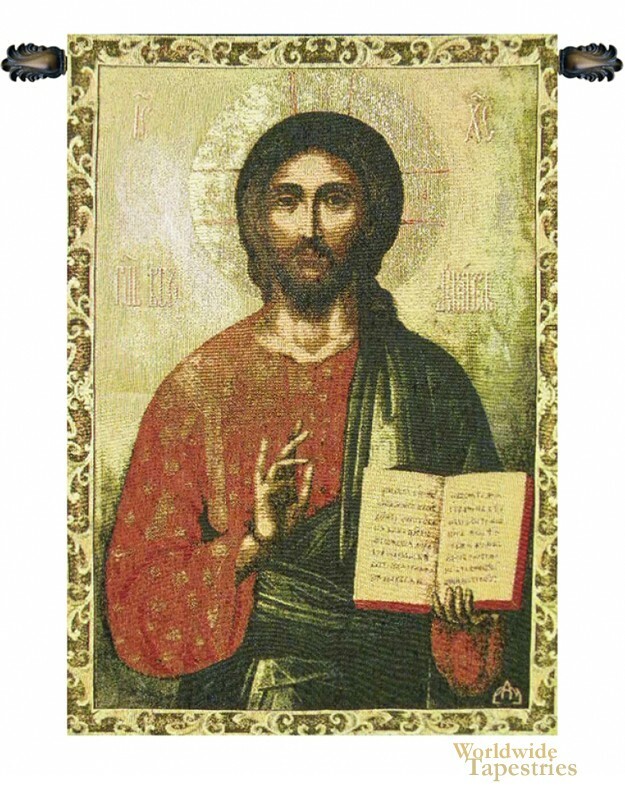 Jesus Master tapestry is based on a Russian artwork depicting Christ from St Petersburg. Here Jesus is seen in the Russian Christian orthodox art style with his halo and his right hand in the Benediction or blessing position and holding the holy bible in this left hand. The style is unmistakable and is beautiful in its cohesion of colors of green, reds and golds which combine superbly. This Jesus Master tapestry is backed with a lining and a tunnel for easy hanging. Note: tapestry rods and tassels, where pictured, are not included in the price. Dimensions: W 20" x H 38"